RT: When I was really young I would dance around the living room while my older sisters played the piano. 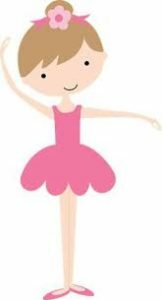 Like many little girls at the time, I fancied becoming a ballerina. What kind of musical background did you have and what instruments did you play? RT: My parents met singing in a choir. My whole family (six siblings) would sing in the car as we had no radio. We all sang in the church choir. I started playing the piano when I was age five and the cello at eight. My sisters and I had a string quartet and it was an exciting day when I grew big enough to play my dad’s full-size cello which belonged to my great great grandfather (my son now plays it). I sang in choirs, played in bands and orchestras. It was no big surprise to anyone when I went to University of Toronto to pursue a Bachelor of Music degree in piano, with cello and singing on the side. How did you end up becoming a Maestra………when did you set that goal……..who makes that final decision……..did you have to audition for the position against others? RT: I was helping out my friend with her children’s choir and the first time I conducted them I had an epiphany that this was what I wanted to do. 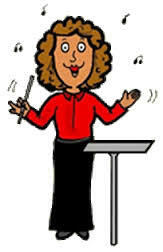 I’m a bit of a rarity in that I love to conduct both orchestra and choir, I guess because I performed in both. I’ve added opera to the mix, which is one of my favourite things to conduct. When I auditioned for my current position as Music Director of the Okanagan Symphony Orchestra, I was asked to apply. After the interview, the search committee invited me to do a concert as a guest conductor. During the process I had interviews, attended receptions, and, of course, conducted rehearsals and performances. The orchestra saw six different conductors that season. They invited me and one other to share the following season so they could get more information. I then put programs together, as that is an important part of the job, as well as assisting with grant writing. At the end of that season, I was delighted to be offered the position. I am currently in my 10th season with the OSO. 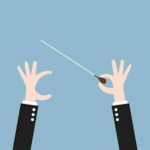 When OSO is on stage performing, what are the key responsibilities of a Maestra? RT: Lots of the nitty gritty work is done in preparation before the rehearsals where everyone (including me) learns their part, or in my case, the full score. 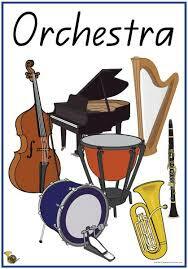 During rehearsals we work on intonation, ensemble, balance, and many other aspects. When it comes time for a performance, I’m always working on the pacing of the music, making the transitions clear for the players with my technique, showing phrasing, and trying to provide inspiration in the music. When OSO is on stage performing, are the orchestra members watching you……or what should they be watching? RT: Ensemble players learn at a young age how to watch many things at once – their music, the other players, especially the principal of their section, and the conductor. There will be moments in the music where they need me more than others and then their entire focus might switch to me. I remember when I first started conducting noticing how much the players really watched the point of the stick (baton). When OSO is on stage performing, what can the audience learn from you………and what are you doing with your hands, head, and baton? RT: That’s a great question. Conductors use their physicality, including posture, arm gesture, stick technique, as well as the way they breathe. 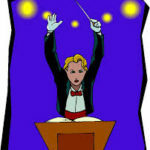 The audience should be able to hear the music reflected in the quality of the conductor’s gesture. 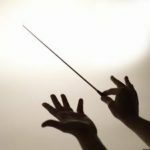 If you ever have a chance to hear an orchestra with multiple conductors in a row (at a gala, or if an orchestra is holding assistant conductor auditions they sometimes let the audience observe) you will notice that the basic sound of the orchestra changes as soon as the new person starts conducting. It’s part of the Maestro mystique. As a Maestra – what’s your favorite and least-favorite part of the job? 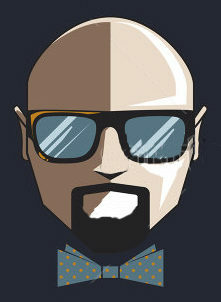 RT: Favourite – making live music with great people and meeting lots of other people. I also love the artistic planning. It allows me to be very creative. Least favourite – I’m not a big fan of grant writing, but it’s a necessary part of the job. 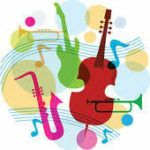 As a Maestra – you commented during January’s Beethoven performance that his music offered “incredible conversation between instruments.” Please explain what that means? 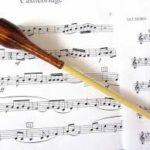 RT: One technique of writing that composers use is called counterpoint. It was especially prominent in the Baroque era (1650 – 1730). It means that one instrument (or group) plays a theme or melody and then another one plays it back. So the musical lines are happening at different times rather than in a block of harmony. It then feels like a musical conversation. 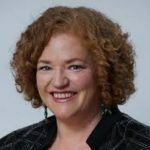 As a Maestra – what do you tell up-and-coming Maestras about your job and what must they do and learn along the way? 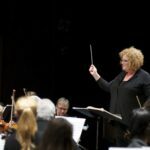 RT: There are so many different parts to the job, from score study to mastering the physical gesture, running rehearsals, which is so different from conducting performances, and remembering always that your “musical instrument” (the orchestra) is made up of individual human beings who each have their own creative voice. They need to learn all these aspects to be successful. I also encourage them not to replicate a recording that they’ve heard of a certain piece, but to listen to many different recordings of great conductors and orchestras for inspiration and a means to finding their own interpretation. Also, that a career is a marathon and not a sprint and to keep working at their craft every day. After 10 years on stage in front of live audiences, can you tell us a crazy/funny/memorable story about something that happened before/during/after one particular performance? RT: One of my favourite things to do is hang out with my colleagues and exchange embarrassing stage stories. I have lots. Once I gave an elaborate introduction to La Gazza Ladra, a Rossini Overture that I was conducting. When I turned around to conduct it, I discovered that I had given my librarian the wrong score to put on my music stand and The Barber of Seville was sitting there. I had to run and get it. Tim Watson, our stage manager, was so quick and intuitive he had already run upstairs to my dressing room and had it in hand as I dashed off stage. I find that audiences are pretty forgiving of these kinds of errors and love to see that we are human, too.